Dr. William Sweet - 2018 Winner of the University’s Research Award. Philosophy Professor Dr. William Sweet joined the StFX faculty in 1990. He is one of the foremost Canadian academics on the history of 19th- and early 20th-century British philosophy, and one of the world's leading scholars of British idealism. His careful, historically-grounded and innovative scholarship on this movement has led to a re-evaluation of the work of some of its key figures and of its bearing on contemporary political philosophy as a whole. He has also contributed significantly to the philosophy of culture, discussions of dignity and human rights, and the philosophy of religion. His research has led to new insights into the impact of idealism in East Asia, India, and southern Africa, and the promotion of intercultural philosophy. In addition to his many publications, Dr. Sweet has contributed to scholarship by organizing international conferences and editing collections of scholarly essays. These have stimulated many, particularly junior scholars, to expand and deepen their study of these fields. Also significant are his many publications and translations of the work of the 20th-century French philosopher, Jacques Maritain. Dr. Sweet's work has been recognized by is election to the presidency of a number of learned societies, such as the Canadian Philosophical Association, and to the executive committees of international organizations. The recipient of numerous awards and honours, he has been invited to present his work across the globe. In 2017, he was elected by his peers as a Fellow of the Royal Society of Canda (FRSC), a national recognition as one of the best in the field of philosophy. Dr. Lavinia Stan - 2017 Winner of the President’s Research Award. Dr. Lavinia Stan, Professor and Chair in the Department of Political Science, is a scholar of exceptional international reputation, thanks to her path-breaking research in the fields of transitional justice, religion and politics, and post-communist democratization in Europe. Dr. Stan has authored, co-authored, or edited 11 books; published over 40 articles in leading academic journals, and has contributed more than 30 chapters to edited volumes. Her work has provided classic references for anyone working in the area of transitional justice. 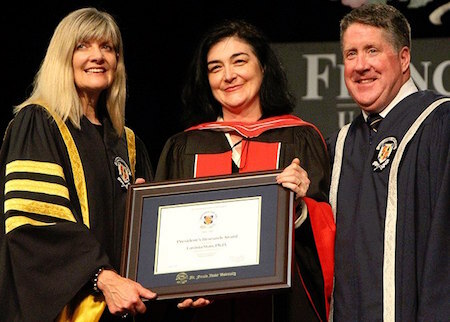 Dr. Lavinia Stan is recognized as the leading expert in post-communist studies in Canada. She has served as the President of the Society of Romanian Studies and the Scientific Council of the Institute for the Investigation of Communist Crimes in Romania. In 2016 she was invited to serve as an advisor to the United Nations Commission of Inquiry into North Korea. Dr. Stan’s peers praise her research for its breadth, analysis, and clarity. They also highlight her collaborative generosity, her leadership, and her mentorship. In further recognition of Dr. Stan’s record of research accomplishments, the Senate of Ovidius University of Constanta in her native Romania recently voted unanimously to confer Dr. Stan with the title of Doctor Honoris Causa. Dr. Lisa Kellman - 2016 winner of the University Research Award. Dr. Lisa Kellman has built one of the most successful research programs on campus. Her research spans the themes of environment, water, soils, agriculture, forestry, and climate change. Her career has been punctuated by a string of prestigious research awards. For a decade she carried the designation of Canada Research Chair. She also co-led the university’s first-ever multi-million dollar Atlantic Innovation Fund project. Lisa has built impressive lab facilities for water, gas, and isotope chemistry that rival or surpass those run by much larger universities. Dr. Peter Clancy - 2016 winner of the University Research Award. 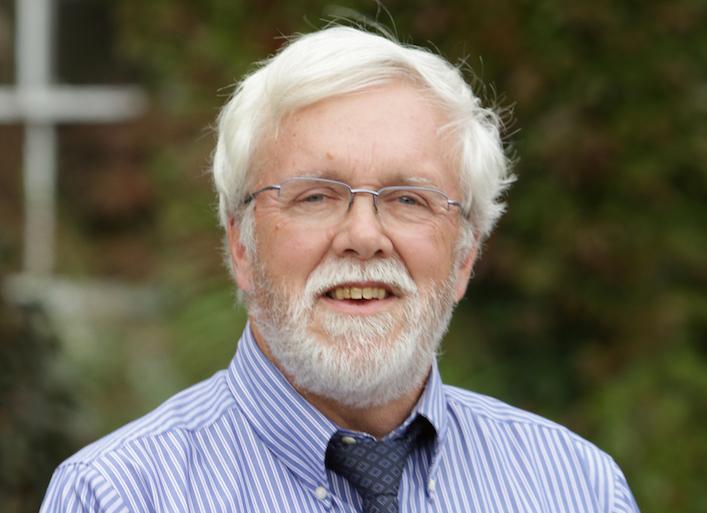 Dr. Peter Clancy is an internationally recognized scholar, his main areas of expertise include various aspects of resource management, with an emphasis on the politics of water and petroleum in the Canadian context. He has enjoyed a long, productive association with Cambridge University’s renowned Scott Polar Institute, where he has been a six-time Visiting Scholar. He was also invited to the Centre for Resource Policy in the Faculty of Law, University of Western Australia, where he researched comparative offshore oil and gas policies. 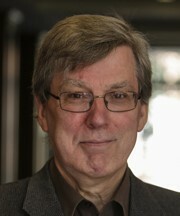 His influential publication record comprises five books (three as sole author and two with co-authors), including "Offshore Petroleum Politics" and "Freshwater Politics in Canada", as well as 17 scholarly articles, 18 book chapters, and 46 conference papers.